The Southern Umpires Association, one of the largest umpiring groups in Australia, has been involved in umpiring local football since 1959. We provide field, boundary and goal umpires to the Mornington Peninsula Division One and Division 2 Football Netball Leagues. 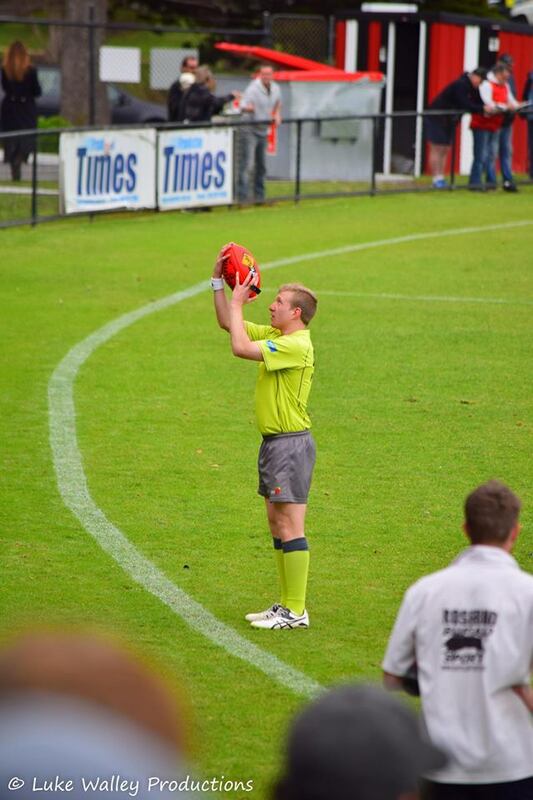 Our umpire development begins by also supplying umpires to the Mornington Peninsula Junior Football League. The season has kicked off, with training well and truly under way at Seaford and South East Headquarters. At kick-ins, a player will no longer need to kick to himself to play on from the goal square but cannot handball as the first act of play. Following a behind, the player on the mark will be brought out to 10m from the top of the goal square, rather than the existing five metres. When defenders mark or receive a free kick within 9m of their own goal, the player on the mark will be brought in line with the top of the goal square. Any Ruck who takes direct possession of the ball from a bounce, throw-up or boundary throw-in will no longer be regarded as having had prior opportunity. Where there is uncertainty over who is the designated Ruck, the player for each team will still be required to clearly nominate to the field umpire. The player with the ball must be allowed to advance the mark by 50m without the infringing player delaying the game and will be able to play on while the 50m penalty is being measured out. 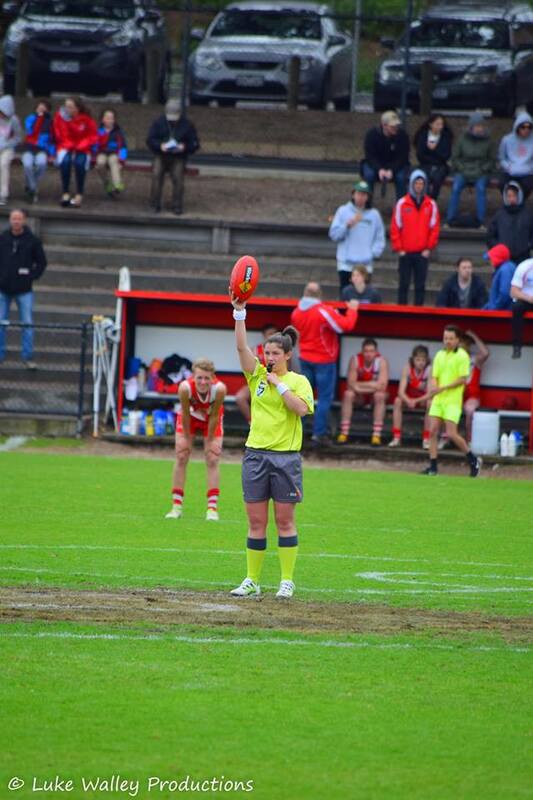 Field umpires can pay free kicks for clear careless contact from a player with an umpire. Umpires will also vary their approach line at centre bounce where it is apparent players are favouring a certain side of the centre circle. a) If a player from either team makes clear careless contact with the umpire and the infringing player is easily identifiable. b) If a player pushes an opponent into the umpires' path and the infringing player is easily identifiable. A player who has been awarded a mark or free kick once play has ended (only) will now be able to kick across their body using a snap or check side kick. They must kick the ball directly in line with the player on the mark. A player can now place his hands on the back of his opponent to protect his position in a marking contest, provided he does not push his opponent in the back. This is the existing interpretation within the MPNFL, there is no change for season 2019. 6-6-6 starting positions at centre bounces. Clubs must have six players inside both 50-metre arcs, including one player inside the goal square. Four midfield players (including the Ruck) must start inside the centre square with the two Wing plaers stationed along the wing. All umpires must also complete their FootyWeb Registration. This will automatically register you with the SUA and also link those details to Schedula. If you are beginning umpiring this season you will need to print off the form attached above, fill out all the information and bring it in to training and hand it to the front office as soon as possible. Please remember you will also need to register with Footy Web above. All umpires returning this season are required to fill out the online renewal form above and submit it as soon as possible. All returning umpires are required to log in and update any information required such as Bank Details, Email Adress, etc. All new umpires will be enrolled by our administrator when you hand in your registration form. Please fill out the match day paperwork by clicking on the link and filling out the online form. 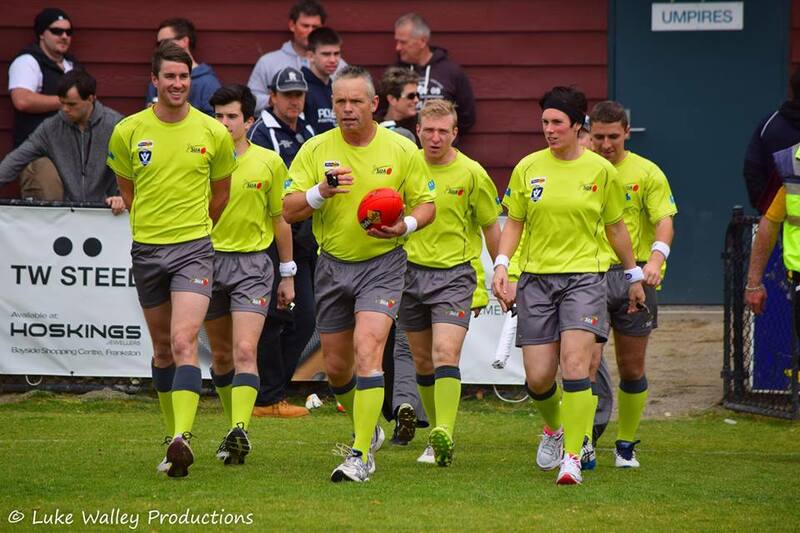 If you love footy, you'll love being an umpire. Not only do you get the best view of the action, you also get paid for the privilege. It helps keep you fit, you get to be part of a team and you can learn leadership skills that you can take with you when you walk off the ground. They call it a job, but really, whether you're a field, boundary or goal umpire, it might just be the most fun you can have at work. The SUA welcomes new members whether they are experienced umpires or new, we are always happy to accept new members. Those people who take the brave step benefit greatly from a supportive, professional and positive group at Southern Umpires Association. If you love the game and you want to keep fit, learn life skills, meet new friends and earn some money then umpiring is for you. Regardless of your gender, nationality or physical capability there is a place for you in umpiring. It offers a welcoming, inclusive and fun environment. If you are interested, fill out the New Umpire Enquiry form or head to FAQs to find out more information.